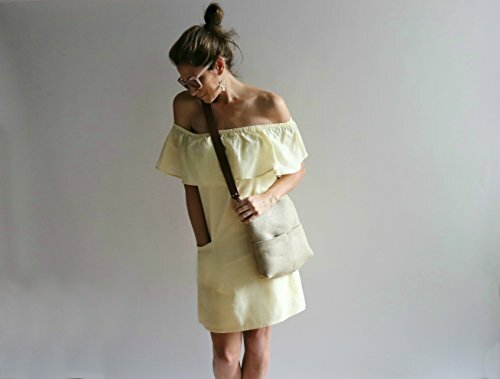 Our popular woven jute bucket bag now in a smaller size that's just right for simple, Summer styles. The natural, textured just pairs beautifully with the wide leather strap for a casual, cool vibe. Choose your look with a Shoulder length strap, Crossbody strap, or Both DETAILS: -Natural woven jute exterior -Approximately 10.5"H x 11"W x 2.5"D -2 exterior front pockets -Magnetic snap closure at top center -Fully lined -2 interior slip pockets and skinny pen pocket -1 interior zipper pocket (7" zipper) -100% Leather strap in 20" Shoulder Strap length, 42" Crossbody Strap length, or both. If you have any questions about this product by Independent Reign - New York, contact us by completing and submitting the form below. If you are looking for a specif part number, please include it with your message.